This recipe is a family recipe. This is a staple my father makes during the cold months. It’s delicious any time of year, but it’s hearty and warms the soul. An Italian tradition from the hills of Tuscany. Cannellini beans, or white kidney beans, are at the forefront of this dish. My father always preferred Swiss chard to other similar leafy greens, and I tend to stick with it as well. 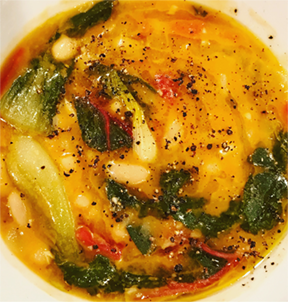 Not only is it delicious and healthy, but the firm leaves don’t break down in the soup, and the bright red stems add a beautiful splash of color. I’ve used kale, spinach, and baby bok choy (which I used with Swiss chard for the above picture), all are great for this dish. Use good Extra Virgin Olive Oil, as it’s used also as a garnish in this dish and good olive oil compliments the soup oh so well. It’s a simple recipe and one you’ll crave every time the temperature outside drops. Rinse your leafy greens, pat dry and rough chop them into large pieces. They’ll cook down but I like having the large leafs in the soup. If you’re using swiss chard or kale be sure to cut out the large portions of the stems. They’re tough and unnecessary for the delicate soup. Over medium to medium-low heat, heat a large sauce/soup pot. Add enough olive to cover the bottom of the pan, I like to add about a 1/4 in depth of olive oil to the pot. When the oil is hot and fragrant, add your onions and let simmer. Turn the heat down if they’re browning too early. 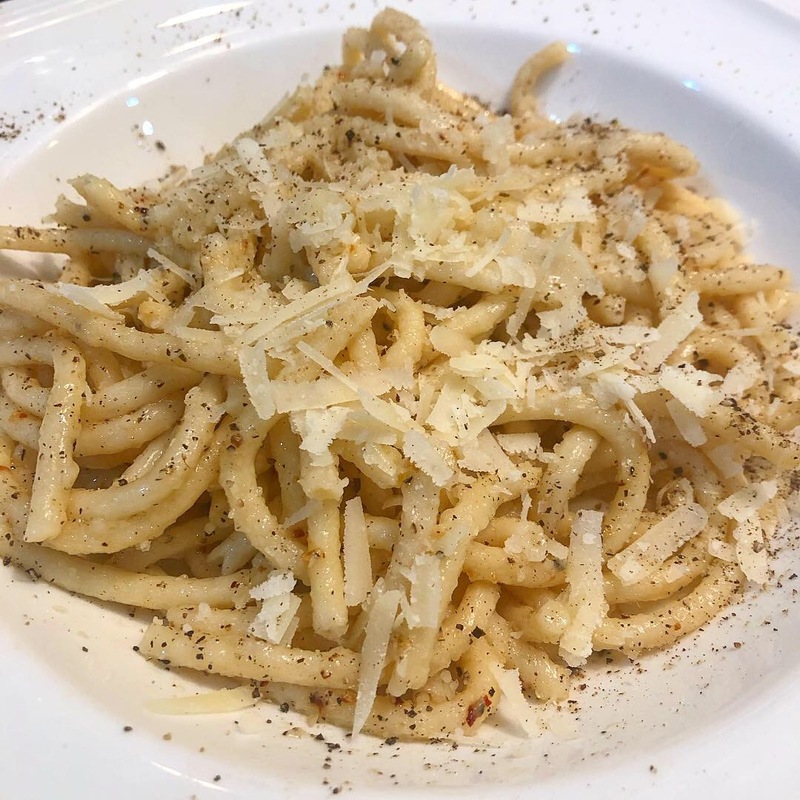 This is a delicate dish, we want to treat the ingredients we add as such. Let them simmer for a few minutes on their own, then add your garlic and simmer for another 5 minutes. If they’re browning turn the heat down. You want a constant simmer, not a fry. Add your beans and all the juices from the can. Add your tomatoes and all the juices from the can. Add 1-2 tbsp of chicken base, or a cup of chicken stock. Sub vegetable base/stock if making vegetarian. Bring it to a light boil. Stir as the soup is thick and you don’t want it sticking to the bottom. Once you have a light boil, add your swiss chard or other leafy greens. stir and bring back to a light boil. For an extra kick, add crushed red pepper. about a tsp or more. Reduce to simmer and let it simmer for 15-20 min. Stir occasionally. Serve in soup bowls. Drizzle olive oil lightly over the soup and add more fresh cracked black pepper. You can also add fresh grated parmigiana/romano cheese. 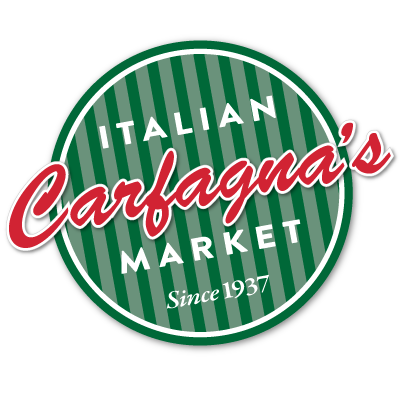 When we think of Christmas week at Carfagna’s, we think of the long lines of customers patiently waiting to pick up their professionally trimmed and tied Prime Rib Roasts. It’s a tradition unlike any other. Wake up, grab some coffee for the road, and set out for an afternoon at Carfagna’s Market. Lined up along the store front waiting for 10:00am to strike and the doors to open. Some customers like to make a bee line straight to the ticket counter, and some enjoy the ease of the day spent browsing at our selection of specialty meats, foods and Italian delicacies. 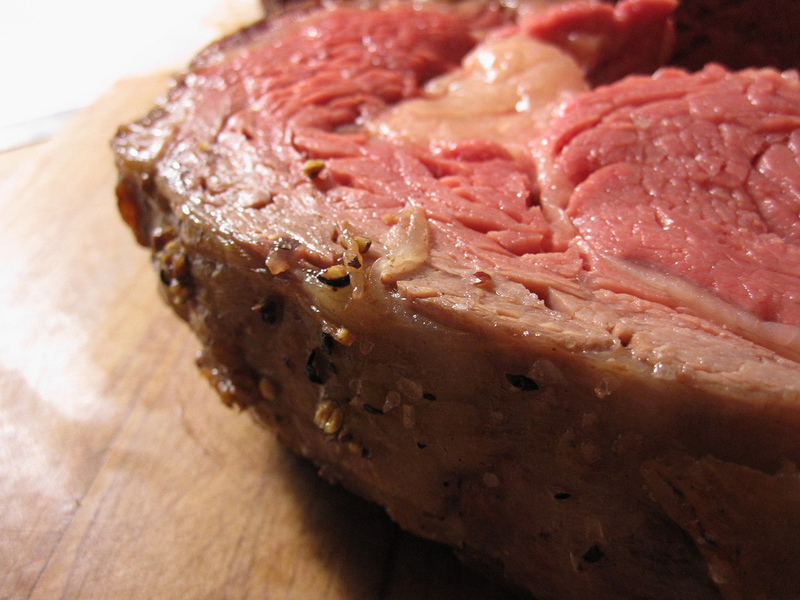 One things for sure, about every other customer coming through the door is there to grab one of our Prime Rib Roasts. Trimmed and tied to perfection, our Christmas dinner wouldn’t be the same without this delicious roast. So come see us again this Christmas and don’t forget to see Raj in the wine department so he can pair the perfect wine with your Holiday Feast! Bone-In: Pre-heat your oven to 350F. Place roast in a roasting pan bone side down. Season liberally with garlic, course sea salt, and black pepper (or any favorite seasoning: Try our Prime Rib Seasoning located on top the fresh meat counter). Insert a meat thermometer so tip reaches the exact center of the roasts eye. Add 1/4 inch of water to the bottom of the pan (to catch grease and prevent flare up). Bake uncovered approx. 15 minutes per pound for large roasts (8 lbs. or larger), or 20 minutes per pound for small roasts. OR for a more accurate temp follow your thermometer until it reaches 110F for Medium-Rare, 115F for Medium, 120F for Medium-Well, and 130F for Well-Done. After removing uncovered roast from oven, cover the roast with foil and let it rest 15-20 minutes prior to carving. This allows the roast to continue to “even out” the pinkness of the meat inside and will allow the roast to retain its juices during carving. After rest period, uncover, cut the twine strings and discard them. Remove roast from the ribs (these ribs will be super tender and delicious if saved for BBQ beef ribs for a later meal). Carve the roast as you like and serve with an Au Jus (the roasting juices along with beef broth *see recipe below) and horseradish on the side. Boneless: Follow preparation and post cooking instructions above, however cooking times will be faster. 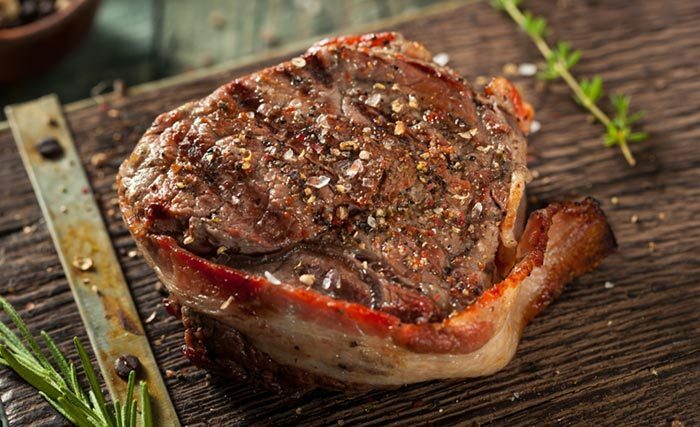 Use 12 minutes per pound on larger roasts (6 lbs. and larger) and 15 minutes per pound on smaller roasts. Au Jus: Pour juices off roasting pan and deglaze pan with 1/2 cup of red wine. Add beef broth (1-3 cups depending on group size) bring to a boil. In an separate cup add 1 tablespoon (or more) of corn starch to a little cold water, blend and stir into boiling broth to thicken the au jus and serve. Pop Up Timer? : If your roast was supplied with and/or inserted with a free pop-up timer from us, please use these guidelines for its use: It will POP-UP when it reaches a pre-set temperature of 138F at the tip of its inserted length. This results in a typical MEDIUM doneness to your roast. If you prefer less or more doneness disregard the pop-up timer and use the above thermometer method or the method of your preference. Carfagna’s Meatball Mix is absolutely fantastic. 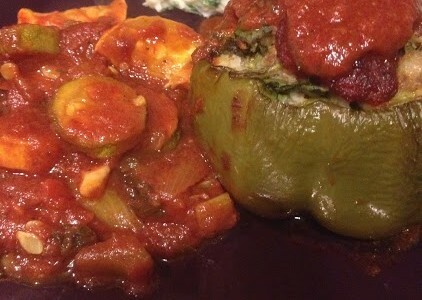 Not only is it ready to make tremendous meatballs, but I’ve found another way to use this versatile mix: Stuffed Peppers. The mix cut down my prep time, and I think it tasted better than when I tried to make a mix myself. (Shh – Don’t tell!) This is a great recipe that incorporated a vegetable side dish that cooks with the peppers (two birds, one stone – rock-on!) 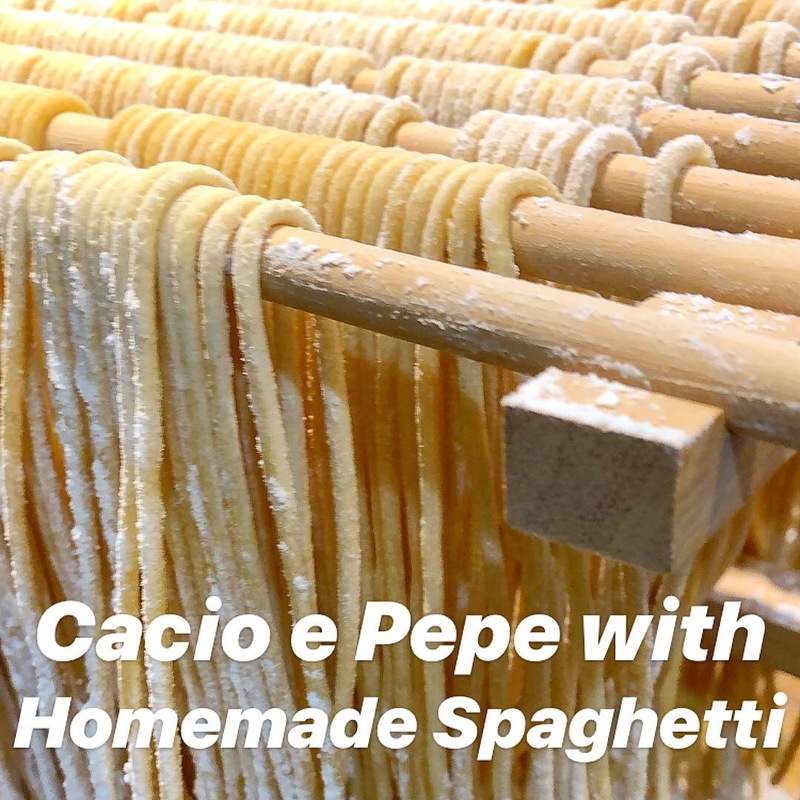 Hope you enjoy the recipe. Elegant, delicious and not so difficult to make because we help with the prep! Add a few seasonings, watch the temperature and ta-da, you got it!